Science for kids is one of our favorite subjects! We’ve done a lot of science experiments for kids including experiments on how clouds work and how static electricity works. Today, we will show you an extremely simple way to make a liquid density jar science experiment. Kids will have a blast with this easy science experiment! 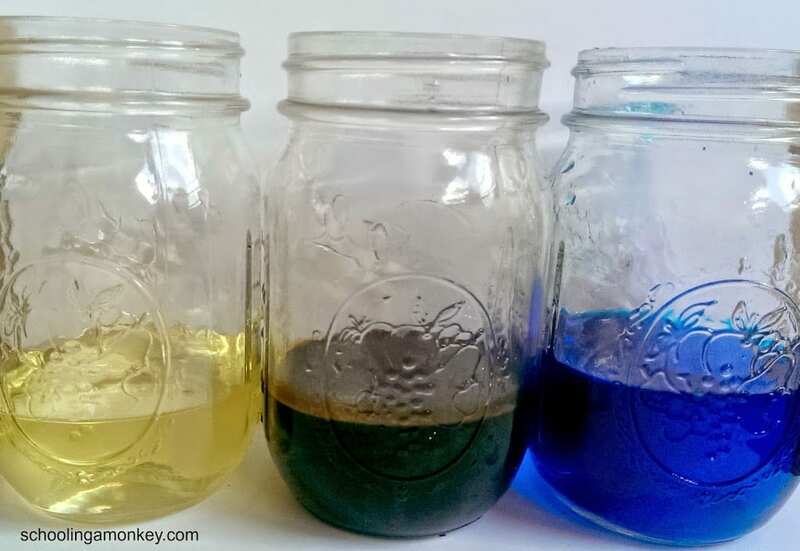 Follow these directions to learn how to make your own liquid density jar! Pour about a cup of each of the liquids into the three individual containers. Use less if you have smaller containers. 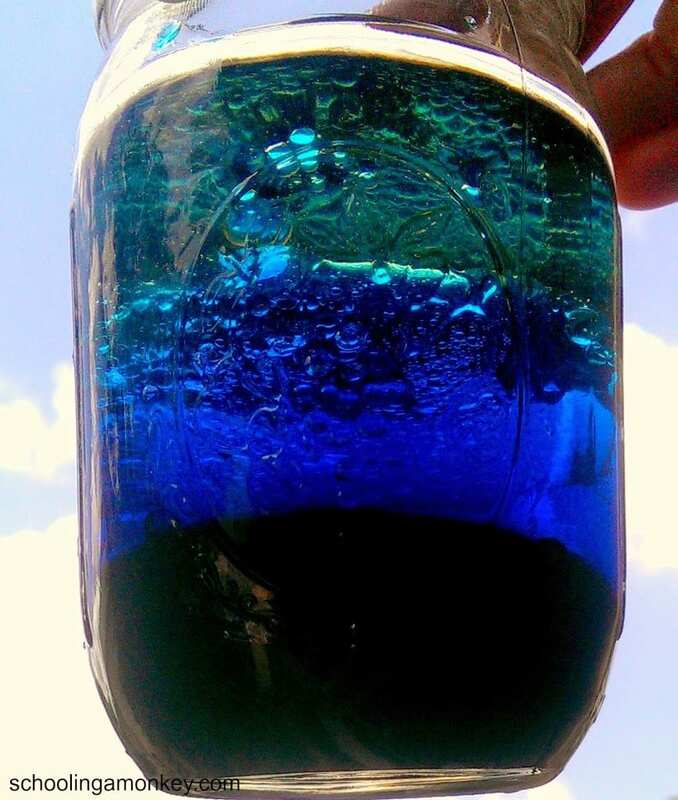 We decided to dye our water blue, but it ended up blending in with the dark color of our molasses. I recommend using a brighter color like red or yellow if your bottom layer is as dark. Have the children guess what liquid will rise to the top. Record the guesses on your density sheet. Pour all the liquids into a single jar and wait for them to separate. It shouldn’t take more than a minute or so. See if your guesses were right, or if you were wrong. Talk about what makes a liquid denser than its fellow liquids. Different liquids have different densities based on their weight. A cup of oil, for example, will weigh a little less than a cup of syrup. Liquids with the highest density will sink to the bottom of a cup, while liquids with a lower density will rise to the top. In general, density is how many particles are inside each liquid. In an equation, density equals mass divided by volume. When the mass of an object increases but the volume stays the same, the density increases. Denser objects will fall further down the column of liquids (some may fall all the way to the bottom), while less dense objects will stop somewhere along the way. 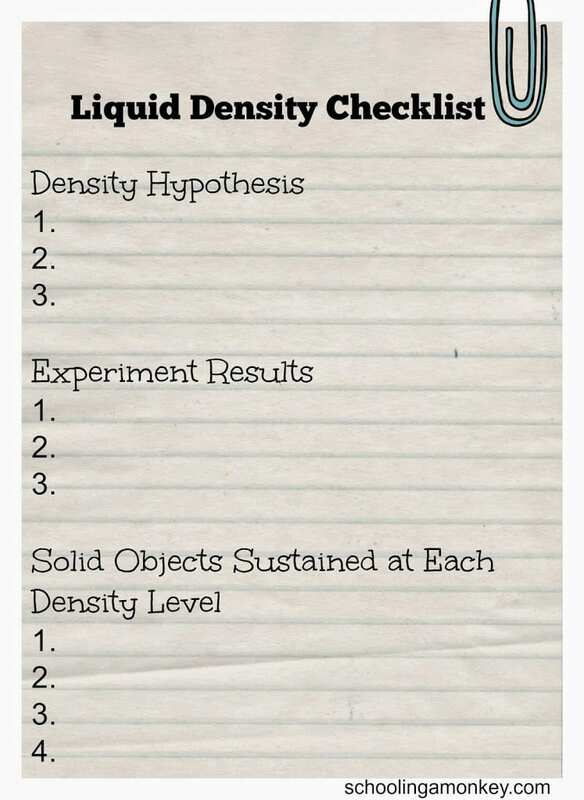 You can use this as an easy way to compare the density of a liquid to a solid. Using these density lessons will also help you make a more precise calm down jar. Here is a fun printable to help you record the results of your experiment.